On July 17, 2014, her father Eric Garner made public headlines. He was approached by officers in Staten Island New York for allegedly selling loose, untaxed cigarettes. The incident escalated to a point where Garner was placed in a choke hold after pulling away from officers. His words “I Cant Breathe” were uttered and filmed by bystanders right before an ambulance took him to a local hospital where he was pronounced dead. Only one of the officers involved was charged in the death of Eric Garner. That officer was later declined an indictment by a grand jury and is still employed with the NYPD. After the death of her father Erica took to being a strong and active voice for racial justice. She organized protests and ‘die-ins’ laying her body outside of the same bodega where her father had been killed. She mentioned in an interview with Elle magazine in 2016 of her hopes to start a non profit which would educate and empower students about social justice. 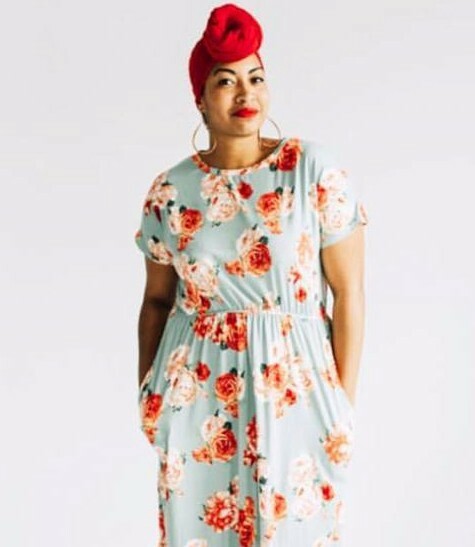 But the loss of Erica is not only a loss of a hero on the front lines of our fight against police brutality it is a blaring testament to an issue in the US healthcare system that is not addressed nearly enough: Mortality rates among black women during pregnancy and childbirth. 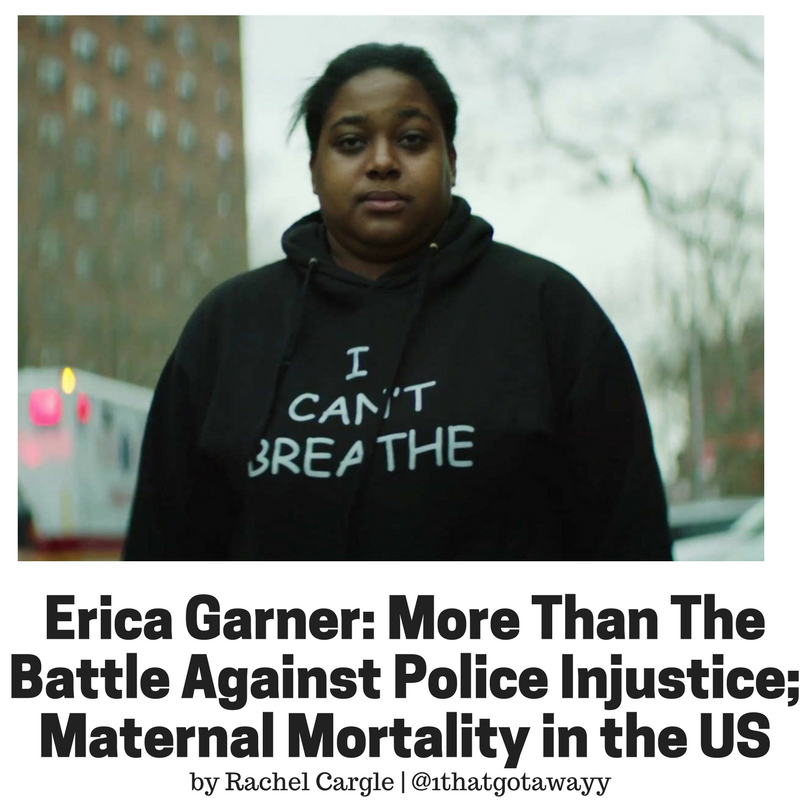 In New York City, where the Garner family resides, black women have the highest rate of maternal deaths (387 per 10,000 deliveries) which is three times that of White women (127 per 10,000 deliveries). This disparity still stands true even when comparing Black and White women with similar risk factors, such as low educational attainment, neighborhood poverty and pre-pregnancy obesity. A 2016 study from the NY health department showed that a black college educated mother who gave birth in a local hospital was still more likely to suffer severe complications and possible death than a white woman who never graduated from high school. With that type of information it shows a deeply racist US healthcare system is killing black women. Just four months prior to her death Erica had given birth to her second child. Days after the delivery she experienced her first heart attack, the side effects of an enlarged heart. It is heartbreaking to consider that she didn’t receive proper and sufficient healthcare upon the delivery of her child and the onset of these complications. A 2009 study published in the journal Social Science & Medicine examined experiences black women had facing racism and it found that “chronic exposure to racial prejudice and discrimination could … contribute to physiological wear and tear, thereby increasing health risk.” Black women also spoke on the ways in which they are treated through their interactions with healthcare professionals. Discussing the dismissive and condescending attitudes and actions from doctors and nurses. Erica Garner fought hard not only against a system of racial inequality within our justice system but she bore the weight that so many in the US do and that is being a woman of color in the healthcare system. She has given life to two brown children, a boy and a girl and it is my hope that we can continue to do the work to ensure they are living in a world that strives to see them live full, safe and happy lives.